The idea of getting dentures can be a little intimidating at first, but it’s important to remember that with the right solutions, they can transform your life for the better. 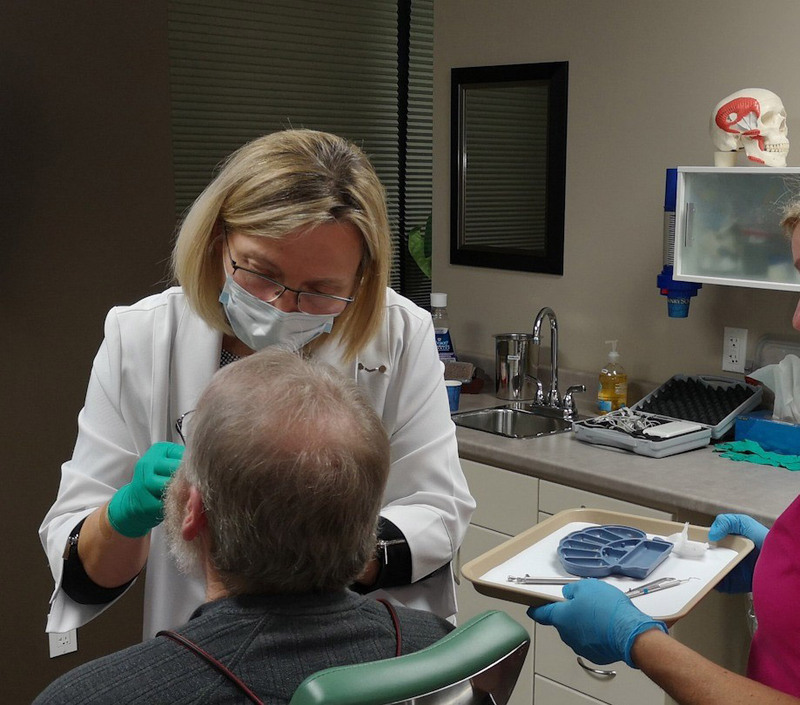 Understanding the process of getting replacement teeth, from denture impressions to construction, can help make the process seem a little less overwhelming and prepare you for the steps ahead. 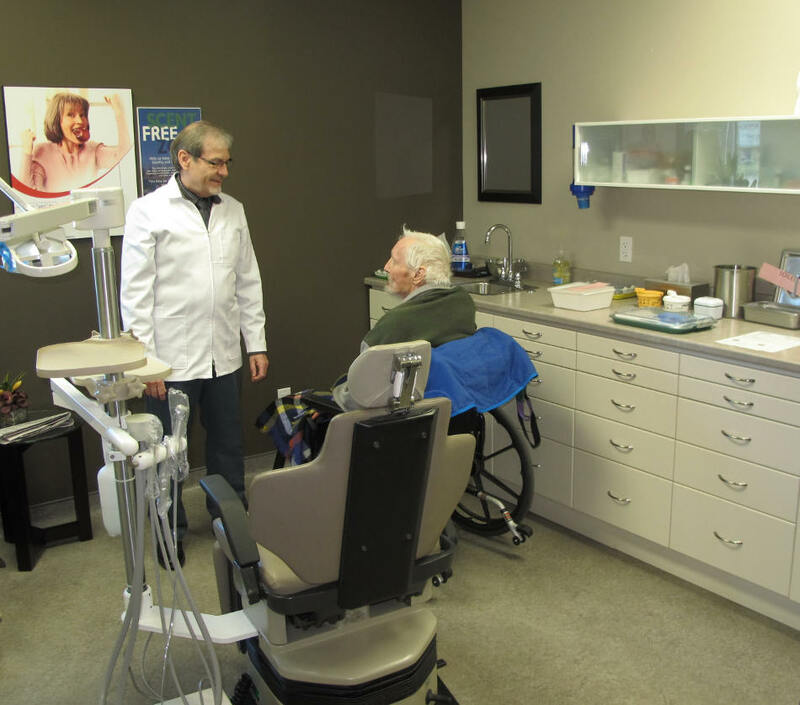 During this appointment we get to know each other, your dental situation and we always encourage you to ask lots of questions. You are welcome to bring a family member or friend and to ask about dental procedures that you may have 'Googled' and wondered if they are an option for you. You personalized options are discussed. The internet is an amazing source of information and provides both of us an opportunity to speak to treatment options that you may be interested in learning about and how they may benefit you. Once you have chosen to start treatment, preliminary impressions are taken of your mouth. Many patients fear this appointment because they are gaggy and have had an unpleasant experience in the past. We are well-known for our gag-free impressions! We use a special material along with a special technique that puts our patients at ease. From these preliminary impressions we make a custom impression trays specifically shaped to your mouth. 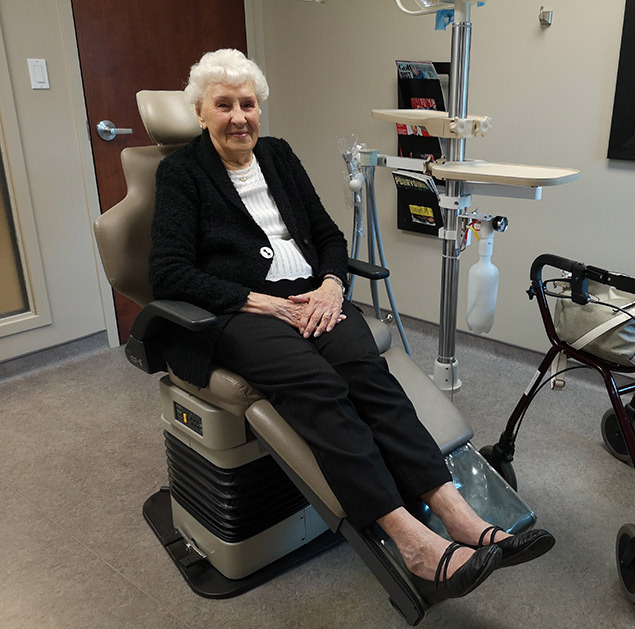 These custom trays and all other devices and/or items used to fabricate your dentures are made in our on-site denture laboratory. These are advanced, precision records completed to gather your specific personal measurements and jaw movements. These are as individual to you as your finger prints and are essential for optimum fit, effective chewing and longevity of your dentures. Tooth shape and shade/colour of teeth are chosen by you. This is an individual preference, however, we may assist you in what would look natural. We ask you to bring in pictures of yourself before your teeth were extracted or we simply go over how we would choose your shape and size of tooth based on evidence-based formula of tooth design. We of course, would listen to what changes you may want to improve your smile. 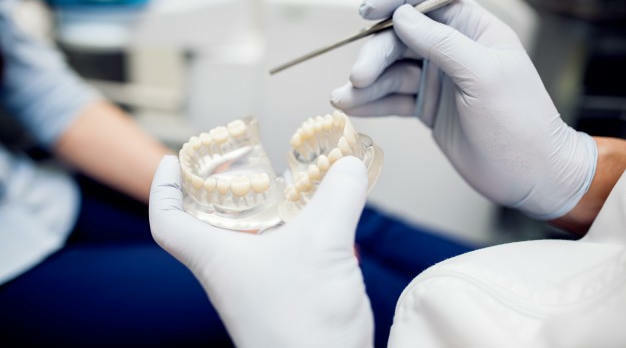 Denture teeth will be set in wax so you can visualize how your dentures will appear prior to the dentures being completed, you have complete control of the esthetic (cosmetic) appearance. After all it is your smile! It’s helpful to bring a trusted person with you to give valuable input. Any additional changes will be addressed at this appointment and, if needed, an additional try-in appointment(s) will be arranged at no extra fee. It is important to take your time during this appointment, paying close attention to details and how each tooth looks and bites together. It is important that you communicate any changes you would like at this point. We want to exceed your expectations! After you are completely happy with the look of your wax try-in denture and we are happy with the phonetics and bite (the technical part that is our job), your denture is completed into denture acrylic (pink base material) with state-of-the-art Ivocap® Injection moulding technique and prepared for a comfortable insert of your new dentures. 5. DENTURE INSERT Your dentures are ready for their first smile! 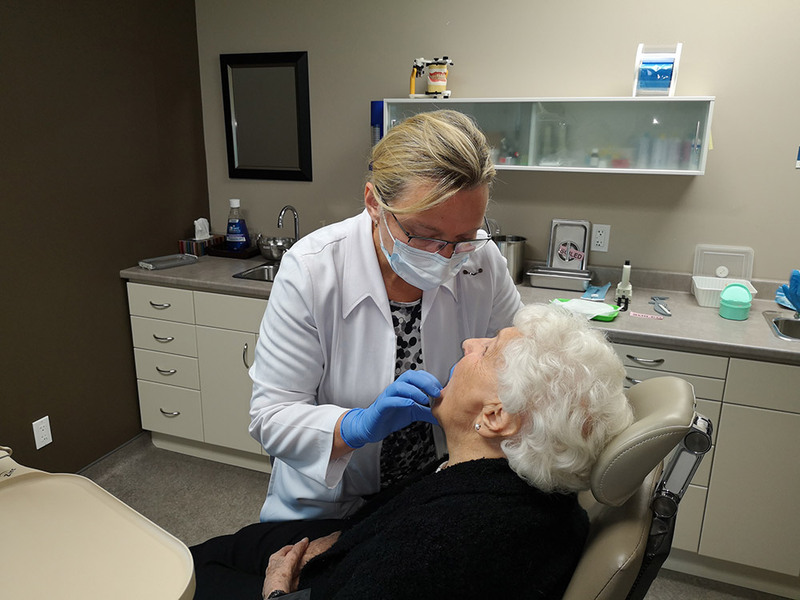 Your dentures are inserted with instructions on how to care for them and how to clean your entire oral tissue to optimize your overall health. Any required adjustments are made to ensure your bite and oral tissues feel comfortable. Your next appointment after you receive your new dentures is usually made within 48-72 hours. This is to ensure that any adjustment that needs to be made as the dentures settle in is done earlier rather than later to avoid discomfort and frustration. 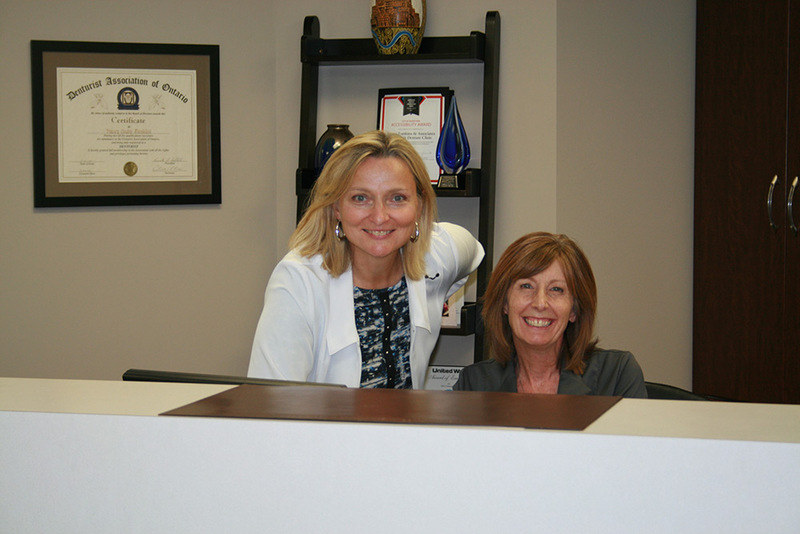 We invite our patients to call anytime they feel they need an adjustment.